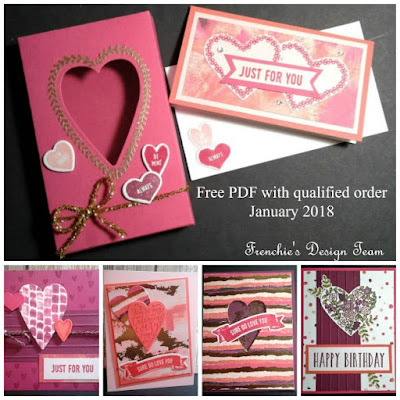 If you are anything like me and can't get enough of all things Stampin' UP! then let me help you out. If you've followed me for any amount of time you know I'm all about KEEPING IT REAL. I must say this is something I'm really proud of, because character and integrity are of the utmost importance to me. So in my KEEPING IT REAL fashion, I would love to ask you, if you would like to receive up to $270 in Stampin' UP! products delivered to your house for $99? Yep, you read that right, if you JOIN MY TEAM during Sale-A-Bration that's exactly what you will receive. It's very important for me that you understand there is NO OBLIGATION TO SALE and NO COMMITMENT for future purchases (but I'm betting you're going to love your minimum discount of 20% on all future purchases) you can simply be a Hobby Demonstrator (meaning buy just for yourself) if that's what you choose. If you join my team and do not make another purchase then you simply go back to being my customer, it really is that simple. Don't miss out on this INCREDIBLE OPPORTUNITY, you can CLICK HERE to learn all about Joining my Team. And don't forget you will also earn my January Customer Appreciation PDF shown below. If you have ANY questions please just give me a call. Happy CRAFTING!! !